Machines beeping, the blur of medical staff running, a crash cart whizzing into an ICU room, was there any hope? Helo Matzelle laid packed in ice as doctors attempted to somehow stop the swelling in her brain that threatened to take her life. What was supposed to be six days of recovery in the hospital turned into eight weeks. She awoke to discover that she was not the same. She saw two of everything, couldn’t feel half of her face, couldn’t hear from one ear, and could not speak. She couldn’t even tell anyone that she felt hopeless. 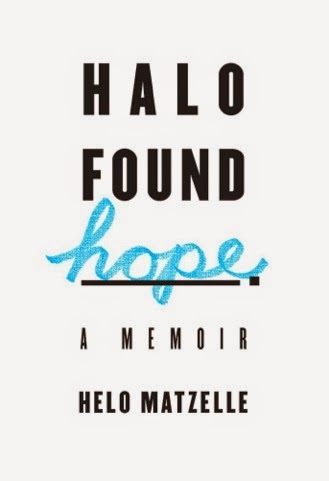 Halo Found Hope is the story of a busy wife and mother of three whose life changed instantly with the diagnosis of a rare brain tumor. An exceptional ENT, a brilliant neurosurgeon and a dedicated medical team tackled the tumor, setting off a series of unbelievable miracles. Helo’s story is not one of survival, or of salvaging a life through a broken body. It is not about endurance through pain, but victory because of it. While the family heard her silence, God heard her prayer. Helo’s story is simply this: Wherever you are and whatever you are going through, God is right there. Q: Prior to surgery, your doctor expected you to go home about a week after the surgery, but it took eight weeks instead. What happened that caused the delay? My projected hospital stay was only six days. In 29 years of practice, my neurosurgeon only had one other patient in stay the hospital for more than a week after brain surgery. Of diagnosed brain tumors, mine was one in two million with a particularly nasty trait. When the tumor is touched, it’s like touching poison ivy; when doctors went in to extract it, my brain swelled, and I became non-responsive. At first, my coma was drug-induced, and then I slipped into one on my own. Life-threatening complications persisted, yet miracles counteracted them. Q: What was your recovery process like? What did you learn during those difficult days? My recovery process was lengthy. After three weeks in the ICU, I spent five weeks in in-patient rehabilitation learning how to walk, talk, eat, think and function again. I was an exhausted, floppy, Raggedy Ann doll with contorted double vision and felt completely trapped inside my body. I slept more than 19 hours a day, and the goal of three hours of daily therapy was not simple to accomplish. Learning how to do so much over again was frustrating, but I learned the battle was not my own to fight. God stayed by my side the entire time and helped me turn frustration into determination. Q: What were some ways that your friends and loved ones showed support to you and your family during this time? For the eight weeks I was hospitalized, my husband and parents rotated shifts so someone stayed by my side every day. My children and extended family visited as often as they could. Loved ones, family and dear friends lifted us up in daily prayer, dropped off home-cooked meals, drove our boys to school and various activities, ran errands and did their best to fill in the gap when my husband and I were not around. When I returned home, my mother-in-law, a retired ICU nurse, flew across the country to take care of me. The support and affection of family and close friends did not waiver. It was humbling to ask for continual help, but I will always be grateful for it. Q: How did you work through your feelings of doubt and fear? I got real with God and held nothing back. He is one amazing listener. When I doubted Him, I let Him know. When I was terrified, I wasn’t afraid to let Him see my fear. Nothing can be hidden from God. That is beautiful and comforting. He has this tender way of understanding and never holds back His perfect affection. Sometimes I thought He did, but I learned quickly He does not let go. When I felt like He had abandoned me, it was because I wasn’t looking upward. Over and over again, I’d ask God, “Will I walk, talk, eat, think and function again? My strength is wearing thin. I’m afraid. Why did this happen to me? God, I am scared and sometimes I feel like you aren’t really there.” Time and time again, I reflected on Psalm 121:1 (NIV), “I lift my eyes to the mountains, where does my help come from? My help comes from the Lord, the Maker of Heaven and earth.” God reached down and asked “Helo, do you trust Me?” Over and over again, I said, “Yes.” and when doubt set in and I felt like quitting again, He repeated, “Helo, do you trust me? Remember, I promised you I’d never leave you.” Now that is one amazing love. Q: How would you have described your relationship with God before your health scare? What about afterwards? 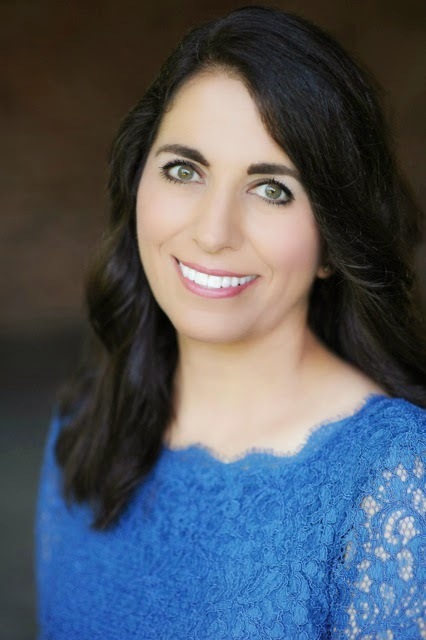 Before my health scare, I thought my relationship with God was as good as it gets. I convinced myself I spent enough time with Him, knew how much He loved me and thought I loved Him back enough. I was wrong about that. After my health scare, I fell in love with Him all over again, in ways I never imagined possible. Over time, I saw the more I fell in love with Him, the more I wanted to get to know Him. That cycle of falling in love and wanting to spend time with Him didn’t stop. His affection is contagious. At times, I felt I couldn’t get enough — and still do today. That’s beautiful. After the storm hit, I placed God as my first priority. Before it hit, I admit I didn’t consistently put Him there. I learned when we ask God for something in His name, He doesn’t always give us what we want but rather gives us what He wants — for our good. Q: How has this experience changed your perspective on life? How has your faith grown? I look at everything differently now. I take nothing for granted — well, I’m better at trying not to. Given a second chance at life here on earth, I’m humbled, have a new heart and new motive, and made my top priority loving Jesus. I live life not simply following God and calling myself a Christian, but live for Him. I’ve learned to trust God more. I’ve learned to be patient and wait upon Him. I’ve learned Jesus doesn’t say, “Just ask me, and I’ll give you exactly what you want.” God doesn’t work that way. And I am happy he doesn’t. His ways are perfect, and mine are not. He takes what He pulls us through to make us stronger and molds us. He knows how to show us what He alone is capable of. We simply need to pay attention. He’s a great teacher who is not done with me (or you) yet. God knows how to show His children what He alone is capable of. All accolades go to Him. Q: In what other ways has God used your brain tumor for good? He’s taken this journey and not only helped those with brain tumors, but those facing various afflictions, including cancer, Parkinson’s, depression, frustration and loneliness. Many tell me my journey inspires them and sets their day in perspective. I tell them this is all about what God can do — not me. I am bolder now in sharing God’s strength and affection for each and every one of us. Q: Do you still experience any side effects from your tumor and surgery? A large portion of the left side of my face is permanently numb due to nerve damage — as if I go to the dentist every day — but when I smile, no one can tell. I’ll be on anti-seizure medication for the rest of my life. I am challenged and tire easily. My “new normal” brain can only handle so much stimulation, so if I overdo it in one of three areas (cognitive, emotional or physical), I start to shut down and exhaustion sets in. But I’ve learned to pace myself and recharge my brain capacity with rest. Quiet time with God restores me emotionally; physical rest helps me to press on. Q: What would you like readers to learn or realize from reading Halo Found Hope?